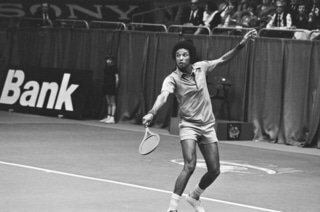 Have you ever wondered about Arthur Ashe? 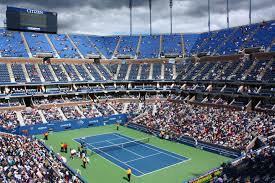 If you enoy tennis as much as we do at topspin3thegame.com, then you have you ever wondered about Arthur Ashe? Arthur Robert Ashe Jr. was born on July 10, 1943 in Richmond, Virginia. He was engaged in tennis at a tender age due to the environment that surrounded him when his father got a job at Brook Field by the year 1947. The job came in with a house which was near a park, playground for black people, with tennis courts in it. He was a straight A student as well, but unfortunately his mother died before his 7th birthday. He became accompanied with people like Ronald Charity and eventually discovered his talent for tennis. He was then introduced to who's going to be his lifetime coach, Dr. Walter Johnson. During his teen years, he was already making a name, joining various competitions in tennis and winning them. As he became more known through various competitions, he was given a scholarship by the University of California, Los Angeles. The school was known for with the best programs for tennis. There, he fought and defeated countless tennis players and kept making his name resound in the industry, especially with a topspin backhand as his. He also has contributed greatly to the win of ULCA in the NCAA Championship which further brought him to the spotlight. Arthur then entered military service and served the country while still not abandoning tennis. He fought and won in the U.S open as well, but was not able to receive the prize as he was only of amateur stature. The prize was therefore given to his opponent although he lost. He was the first and only African-American who has ever garnered the said achievement. For his professional career, he was to attend the South African open, but was denied visa continuously and consecutively due to a racial segregation law, 'Apartheid'. He protested in the said discrimination, and in the 1970's he have garnered and conquered the Australian Open which further made him more famous. He unfortunately contracted HIV during a transfusion, which later was also the reason for why he raised awareness and program for AIDS research and prevention. He was also a writer, a professor and has also contributed to the abolishment of the Apartheid - discrimination of black people in South Africa. He eventually died due to his sickness, and was honoured greatly by mass of people.